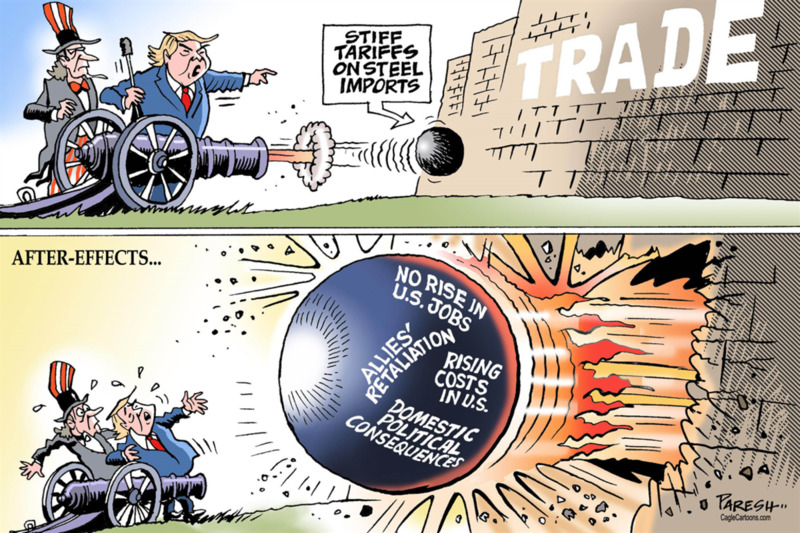 America Is in a Trade War and Even With No Bombs It's Brewing Up! Isaac Newton Farris Jr. is the nephew of Martin Luther King, Jr. and serves as Senior Fellow at the King Center. When Americans think of war, they tend to think of the wars in the middle east. But there is another war that has started and is currently escalating. It's a silent one that doesn’t involve shooting people or dropping bombs. But even without shooting people and dropping bombs this war could still cause serious devastation. In May a war started and although it’s silent it’s still a war. 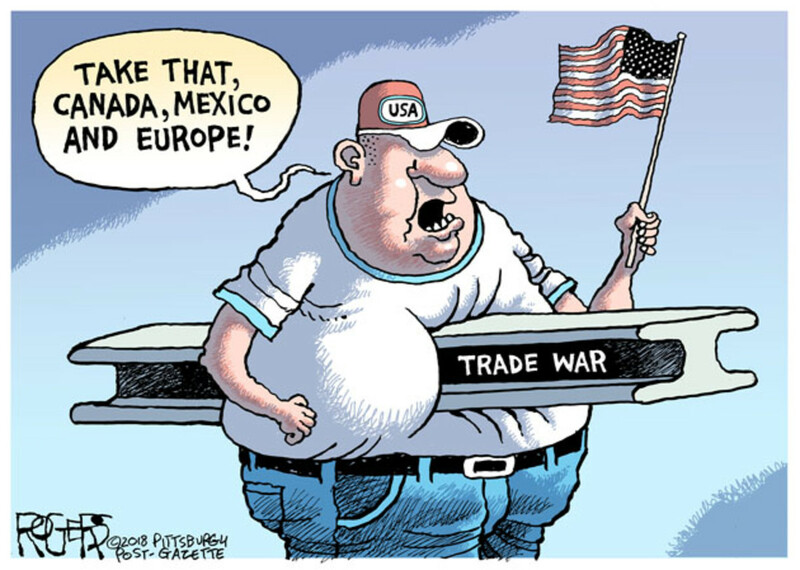 It’s a trade war. 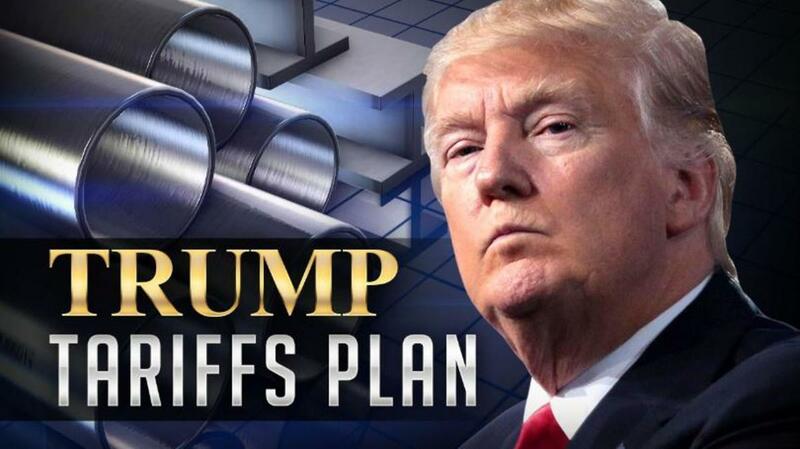 The Trump administration announced that America's allies, the European Union (EU), Canada, and Mexico would face a 25 percent tariff on steel and a 10 percent tariff on aluminum. This was a pre-emptive shot to start President Trump’s trade war with America’s economic and military allies, ironically he justified taking the first shot on grounds of a threat to America’s national security. Chancellor Angela Merkel of Germany called the tariffs “illegal,” while saying “the measures carry the threat of a spiral of escalation that will result in damaging everyone.” Prime Minister Justin Trudeau of Canada said it was “inconceivable” that Canada “could be considered a national security threat.” Mexico has detailed a list of goods to target for retaliation, including steel, pork, apples, cranberries, and cheeses. 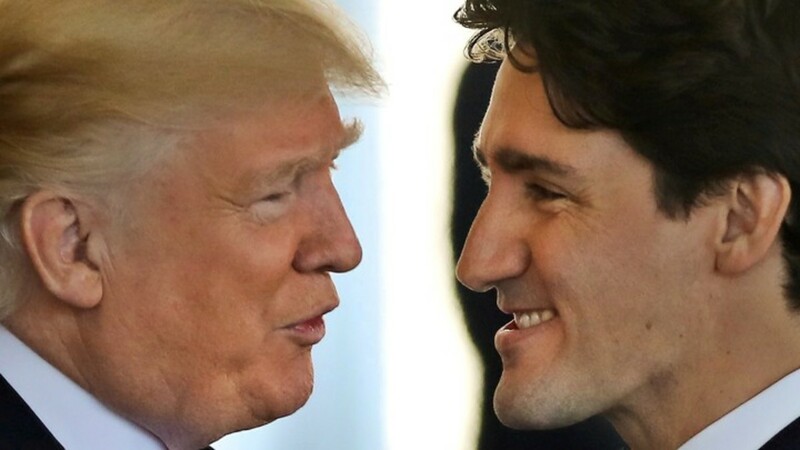 Canada returned fire on America in the trade war by announcing retaliatory tariffs that extend beyond steel and aluminum, they will also affect products as diverse as yogurt, whiskeys, maple syrup, beer kegs, fridge-freezers, washing machines and boats totaling $12.78 billion. The same $12.78 billion that Canada says is the 2017 value of Canadian exports to the U.S. affected by the U.S.’s new tariffs. 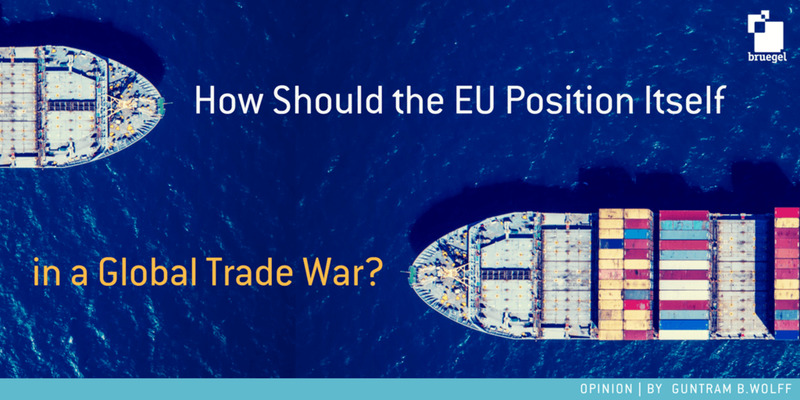 The EU’s trade war response means a 25 percent tariff on Harley-Davidson Inc. motorcycles, Levi Strauss & Co. blue-jeans, and Kentucky bourbon whiskey. 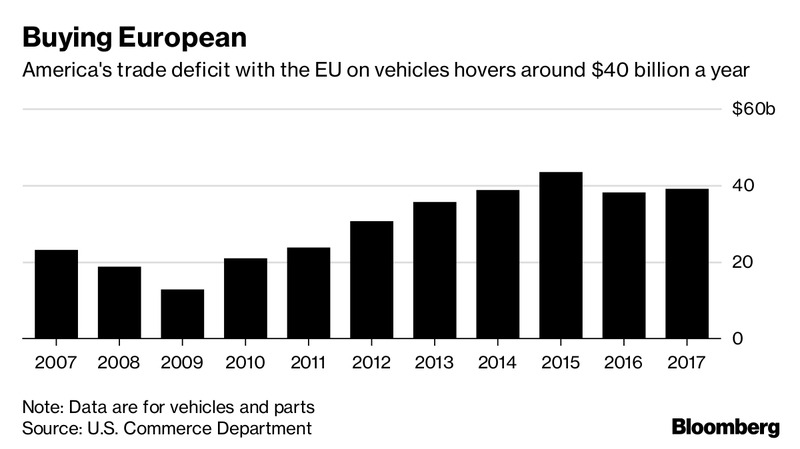 The EU tariffs have already produced the first American casualty. 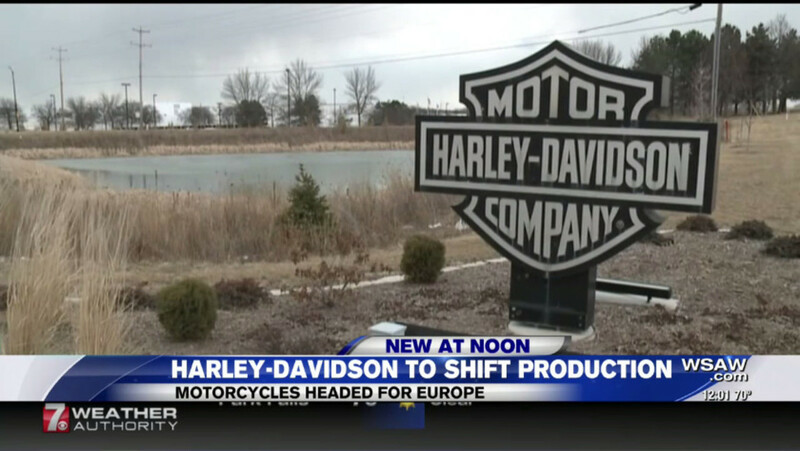 Harley-Davidson in a regulatory filing with the Securities and Exchange Commission said the EU’s tariffs will add an additional $2,200 to the cost of motorcycles sold in Europe, and cost it an additional $30 to $45 million this year. 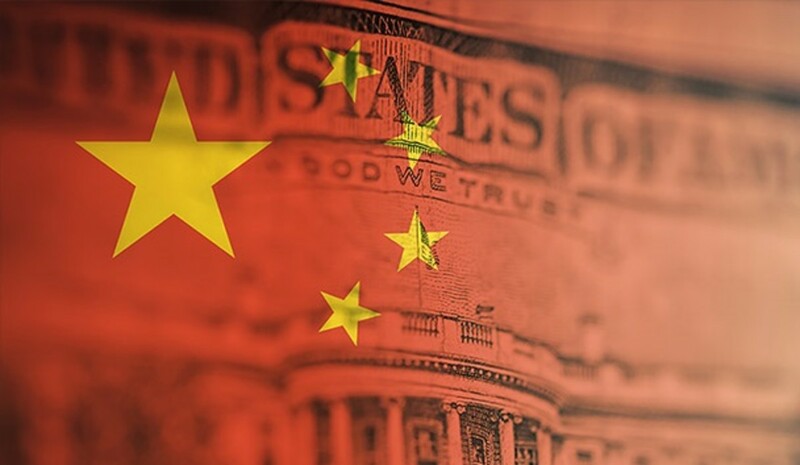 On July 6, 2018, President Trump imposed tariffs on $34 billion worth of Chinese goods, this was the first major shot at China in President Trump’s trade war but there were many moves leading up to this point. On January 23, 2018, President Trump placed a 30% tariff on foreign solar panels, to be reduced to 15% after four years. China placed tariffs of 20% on washing machines for the first 1.2 million units imported during 2018. 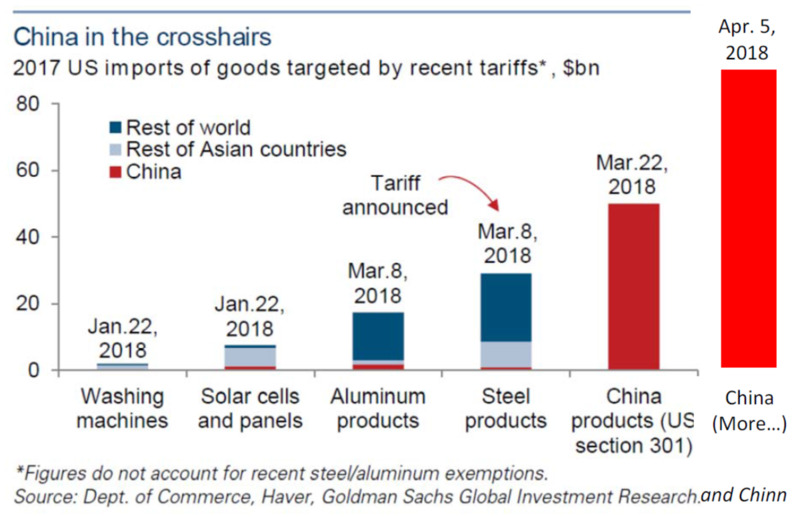 On March 22, 2018, President Trump had the United States Trade Representative (USTR) apply tariffs worth $50 billion on Chinese goods. He relied on Section 301 of the Trade Act of 1974 to justify it, stating that the proposed tariffs were "a response to the unfair trade practices of China over the years", including theft of U.S. intellectual property. 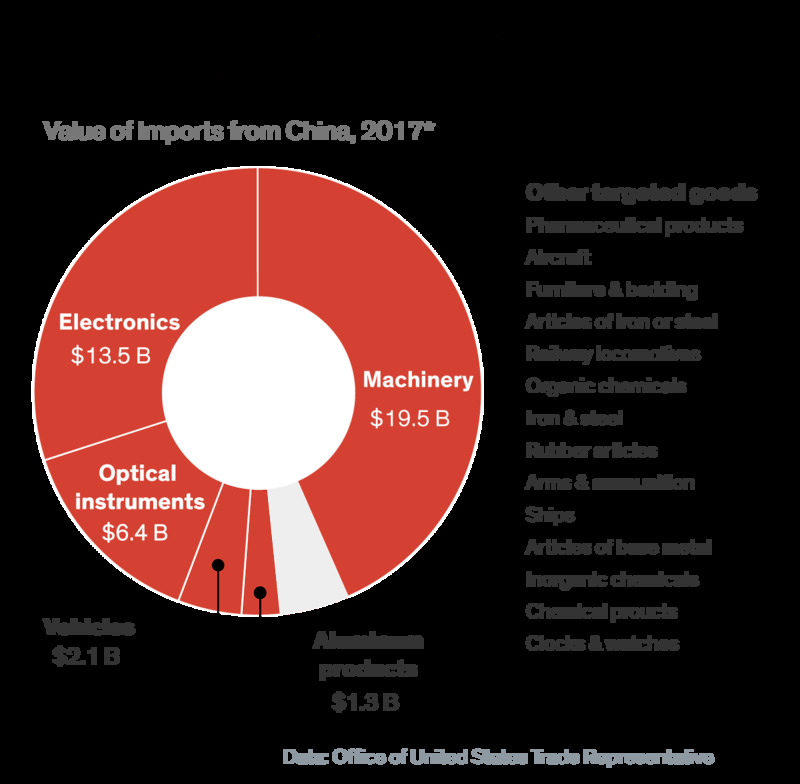 Over 1,300 categories of Chinese imports were listed for the tariffs, including aircraft parts, batteries, flat-panel televisions, medical devices, satellites, and various weapons. 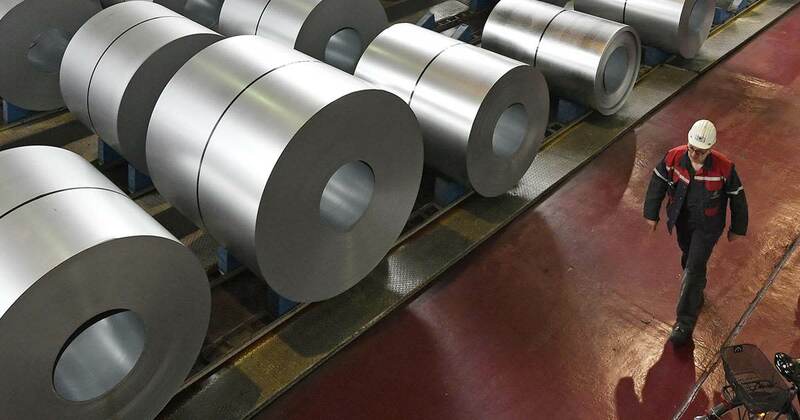 On April 2, China responded by suggesting imposing tariffs on 128 products it imports from America, including aluminum, airplanes, cars, pork, and soybeans (which have a 25% tariff), as well as fruit, nuts, and steel piping (which have a 15% tariff). 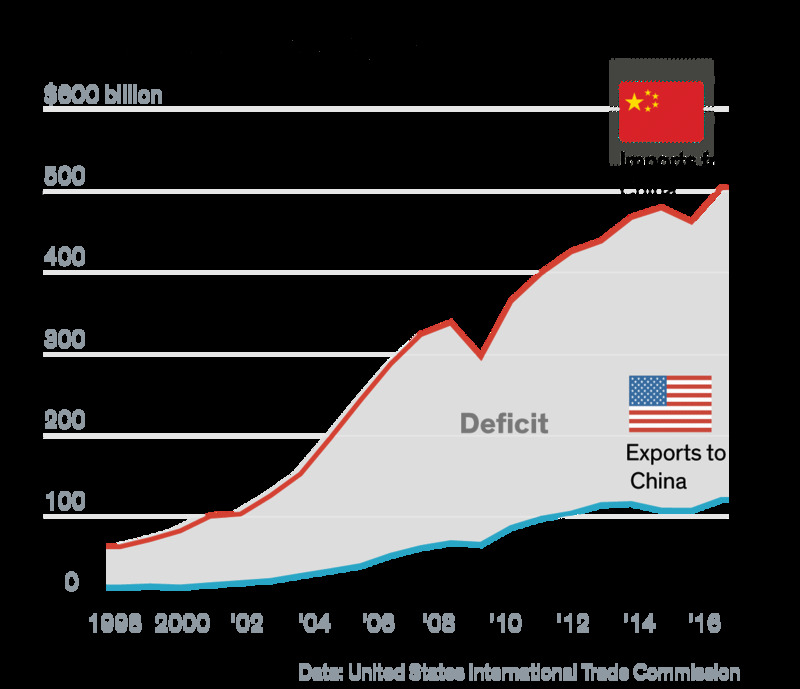 On May 20, it was reported that Chinese officials had agreed to "substantially reduce" America's trade deficit with China by committing to "significantly increase" its purchases of American goods. As a result, Treasury Secretary Steven Mnuchin announced that "We are putting the trade war on hold". 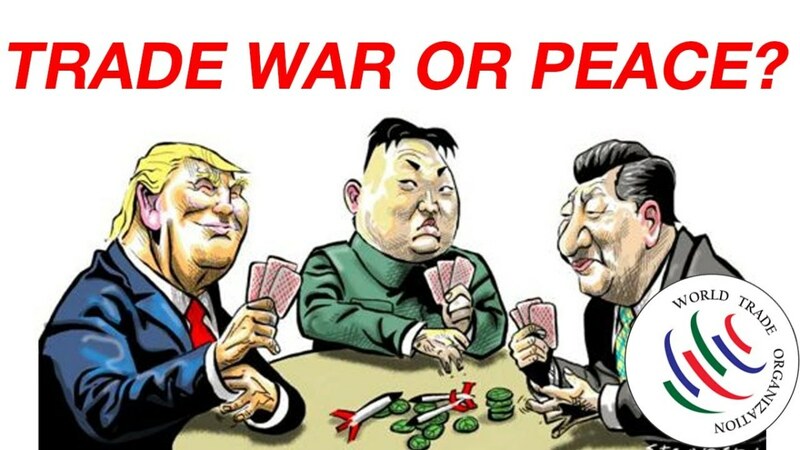 The cease-fire was short lived by May 29 the White House announced that it would impose a 25% tariff on $50 billion of Chinese goods with "industrially significant technology". It also planned to impose investment restrictions and enhanced export controls on certain Chinese individuals and organizations to prevent them from acquiring U.S. technology. China said it would discontinue trade talks with Washington if it imposed trade sanctions." 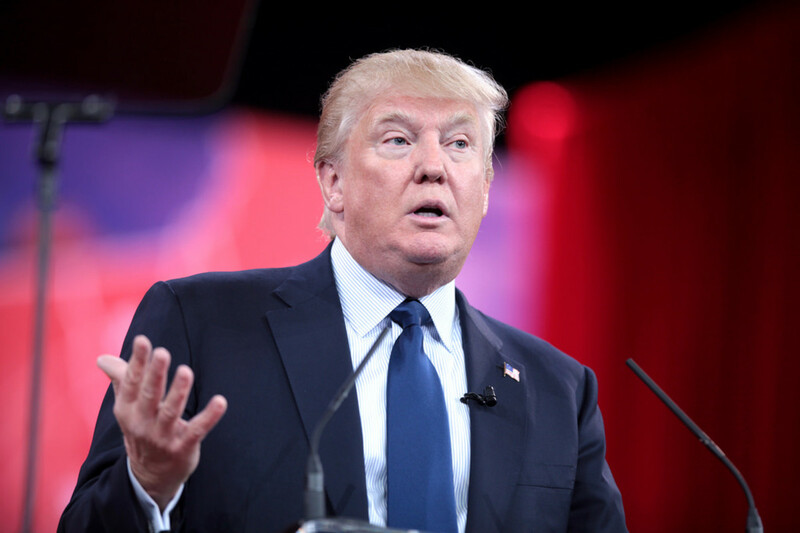 On June 15, President Trump declared in a short White House statement that the United States would impose a 25% tariff on $50 billion of Chinese exports. $34 billion would start July 6, with a further $16 billion to begin at a later date. China's Commerce Ministry accused the United States of trying to start a trade war and said China would respond in kind with similar tariffs for US imports, starting on July 6. Three days later, the White House declared that the United States would impose additional 10% tariffs on another $200 billion worth of Chinese imports if China retaliated against the U.S. tariffs. 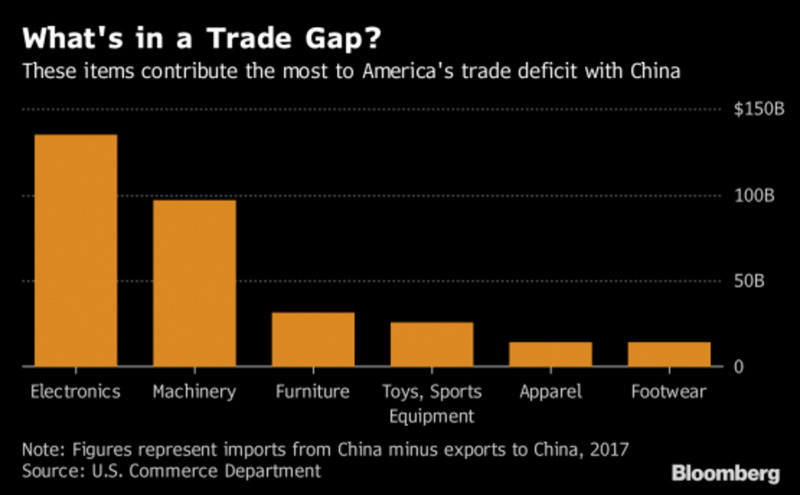 China did retaliate with its own tariffs on $50 billion of U.S. goods, and claimed the United States had indeed "launched a trade war." 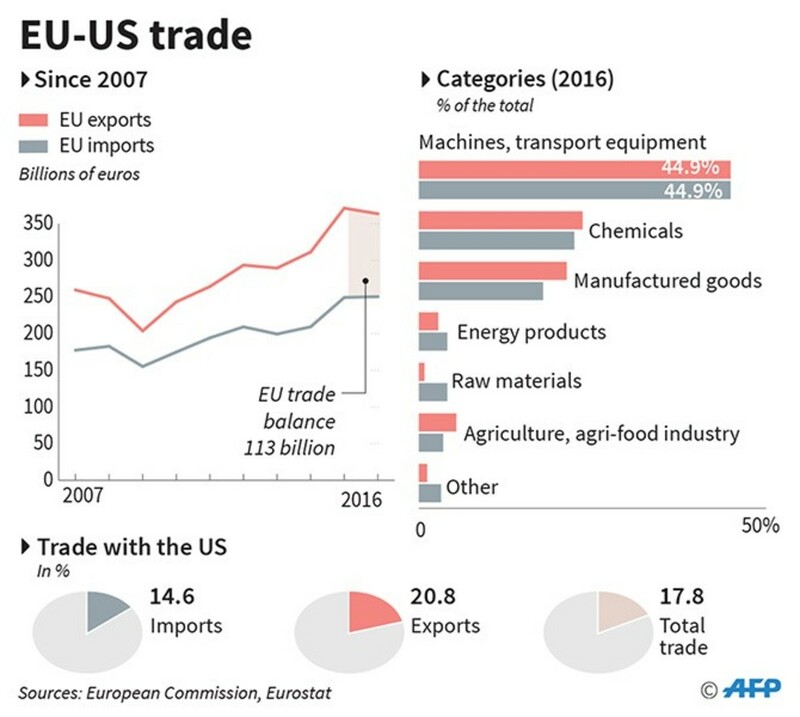 Import and export markets in a number of nations feared the tariffs would disrupt supply chains which could "ripple around the globe. "The American tariffs on $34 billion of China goods went into effect on July 6, 2018. Meaning America finally fired a shot in our trade war with China. 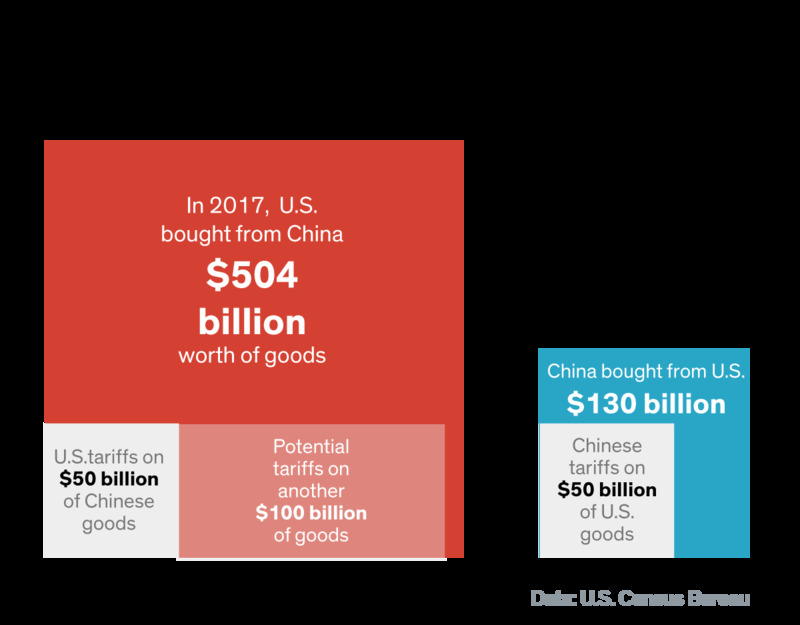 China returned fire on President Trump’s trade war by imposing retaliatory tariffs for the same amount. These initial tariffs account for 0.1% of the global gross domestic product, but that 0.1% according to Commerce Secretary Wilbur Ross will grow to 0.3%. Once escalation begins where does it end? John Ferriola, the CEO and President of Nucor, America's largest steel producer, and its largest metal recycler claimed that tariffs were not unfair, but were "simply leveling the playing field." He says that not only the "European Union but most countries in the world have a 25 percent or greater VAT, value-added tax, on products going into their countries from the United States. So if we impose a 25 percent tariff, all we are doing is treating them exactly as they treat us." Analyst Zachary Karabell claimed that the administration's desire to reject long-standing trade consensus in favor of a more nationalist approach will not succeed: "A set of very public and punitive tariffs will not reverse what has already been transferred and will not do much to address the challenge of China today, which is no longer a manufacturing neophyte." Peter Navarro, White House Office of Trade and Manufacturing Policy Director, gave a number of the administration's explanations for the tariffs, among them are that they are "purely defensive measures." He claims that the cumulative trillions of dollars Americans transfer overseas as a result of yearly deficits, are then used by those countries to buy America's assets, as opposed to investing that money in the U.S. "If we do as we're doing those trillions of dollars are in the hands of foreigners that they can then use to buy up America." 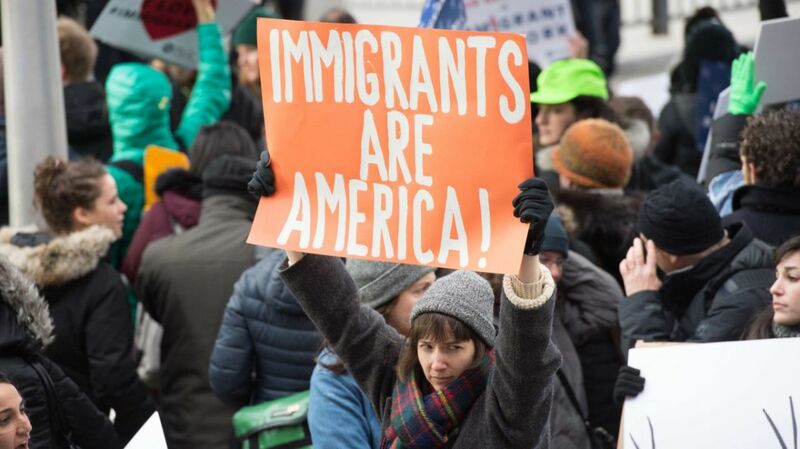 Richard Trumka, president of America’s largest labor union the AFL-CIO, which represents over 12 million active and retired workers, said that China has stolen U.S. intellectual property and "bullied its way into acquiring critical U.S. advances in technology." 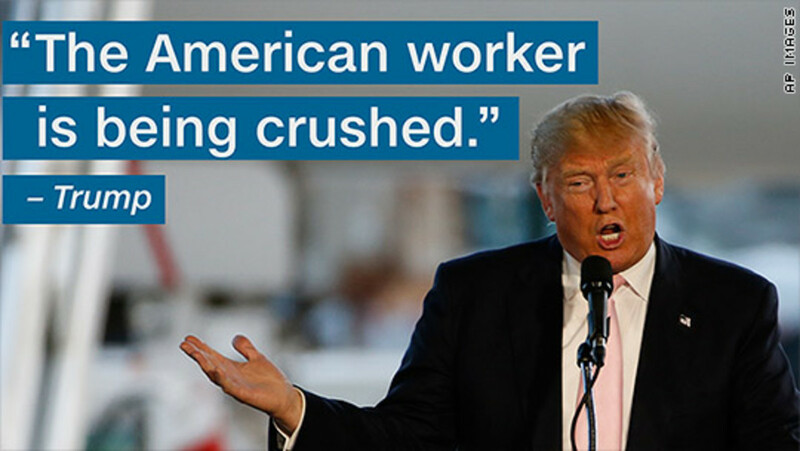 He stated in March 2018 that "Tariffs aren’t an end goal, but an important tool to end trade practices that kill American jobs and drive down American pay." 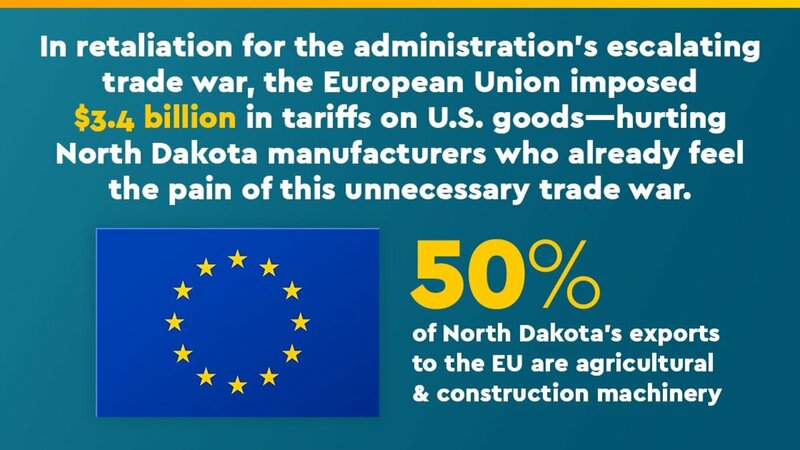 President Trump does have legitimate claims about unfair trade practices of Canada, the EU, and Mexico that work against America, but he also has exaggerated and untrue claims about Canada, EU, and Mexico trade practices. 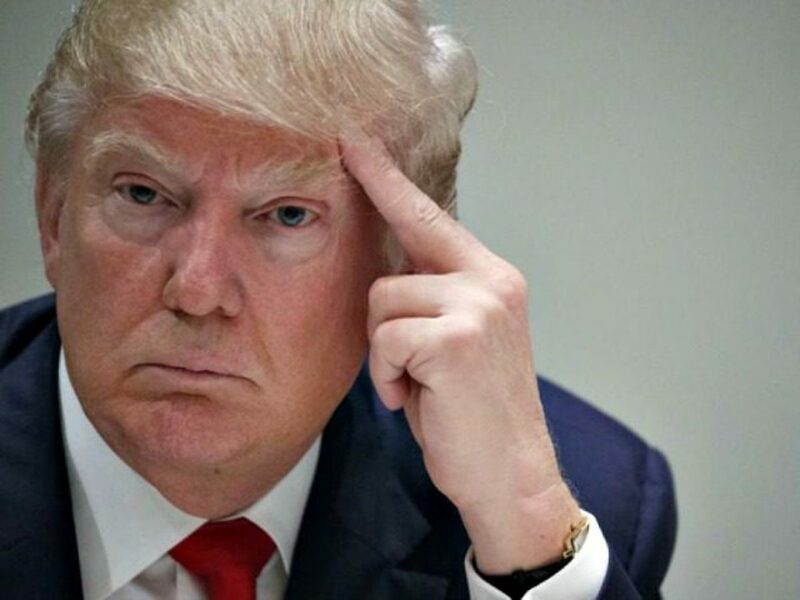 Conversely, Canada, the EU, and Mexico have legitimate questions about why President Trump needed to start a trade war to address his legitimate claims, but Canada, the EU, and Mexico have not responded to diplomatic complaints by past American Presidents about the same issues President Trump is now going to war over. Of all the country’s evolved in President Trump’s trade war, China is the only 1 that does not have any legitimate claim to make against any country. China’s long history of having a slave wage work-force, forcing foreign businesses into partnerships with a Chinese business as a condition of doing business in China, forcing foreign businesses to share their intellectual property as a condition of doing business in China, and China’s habit of outright theft of intellectual property makes all other nations victims. 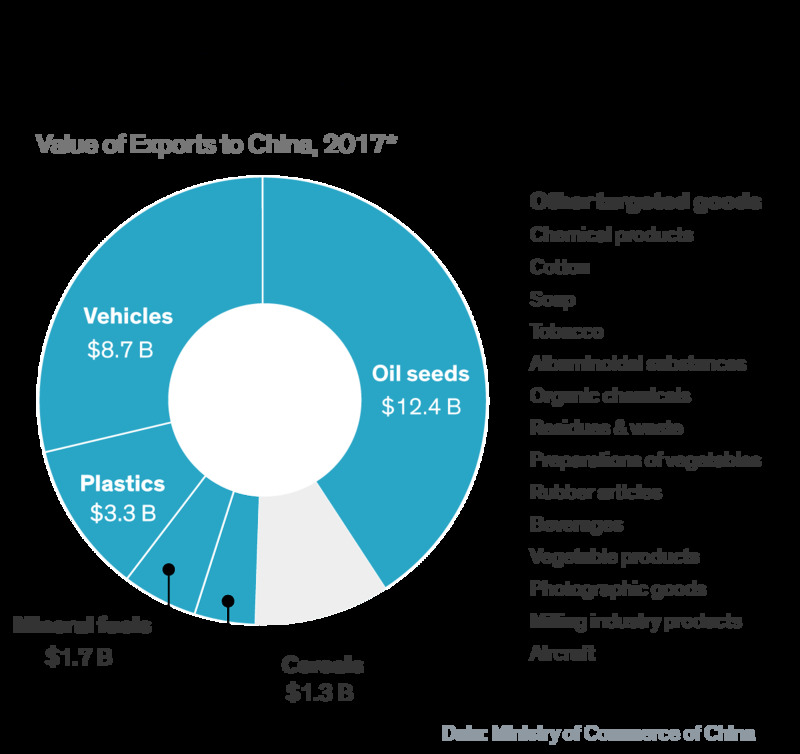 China's protectionist behavior prevents fair competition with China and prevents fair trade in China for any business from any nation. At the end of the day for America, maybe it should boil down to 2 crux of the matter questions. 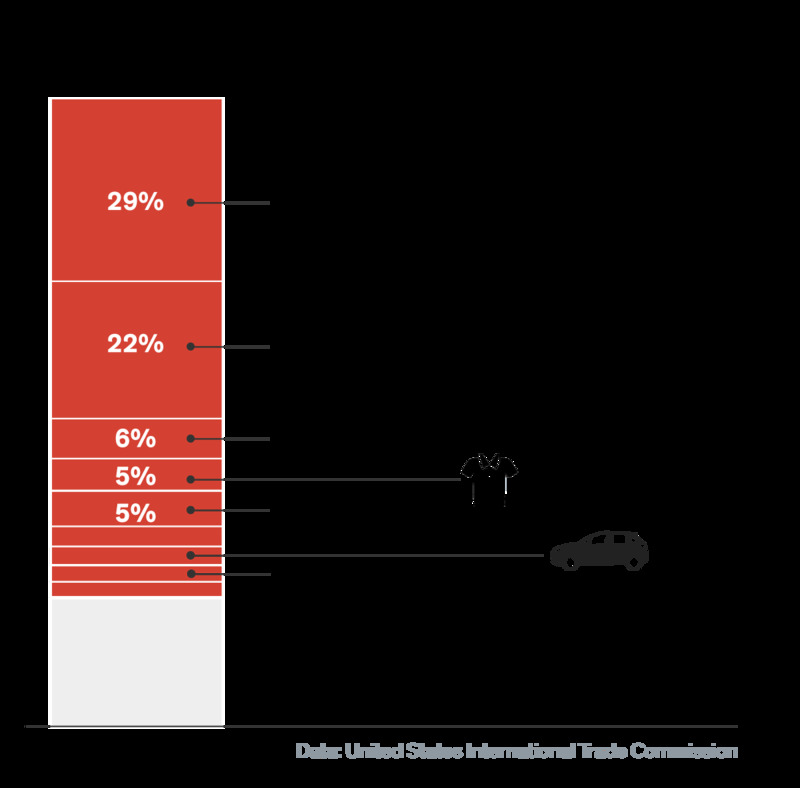 (1) If the American economy is so much larger than any other country that President Trump claims it to be, how can there ever be an equal trade balance? (2) If no other country has as much money as America, then how can any other country ever spend as much money with or in America, as America can spend with or in any other country? As with all things in life, time will be the final arbiter on the rightness or wrongness of President Trump’s pre-emptive trade war. 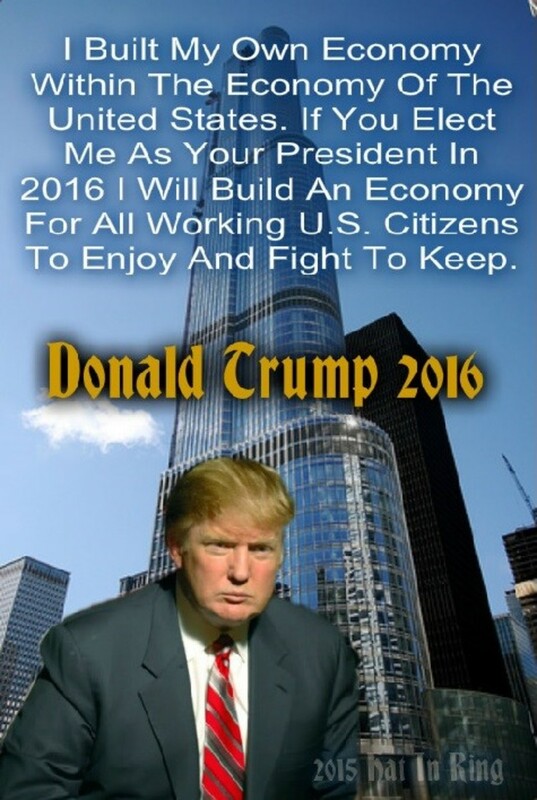 As American citizens, we should all hope and pray that President Trump’s pre-emptive trade war, does not turn out like President Bush’s pre-emptive weapons of mass destruction Iraq war!!! 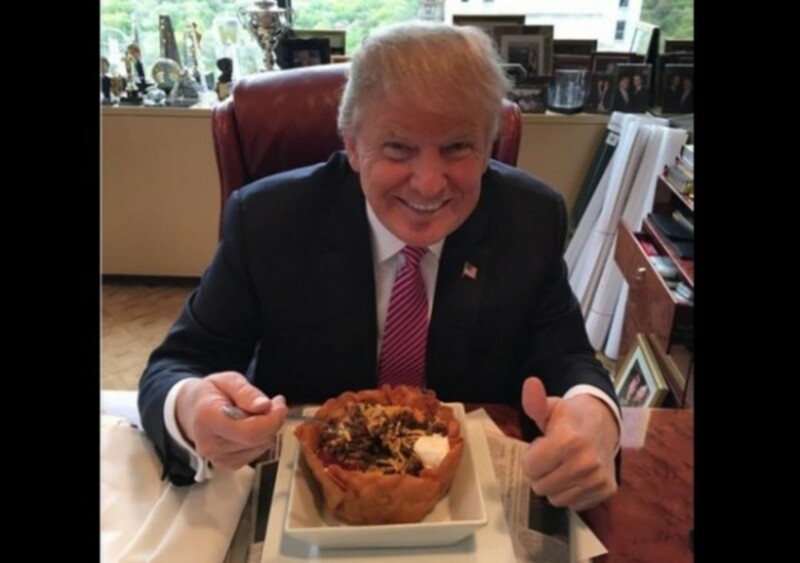 If you look at the news lately, it seems that Trump is winning the war! 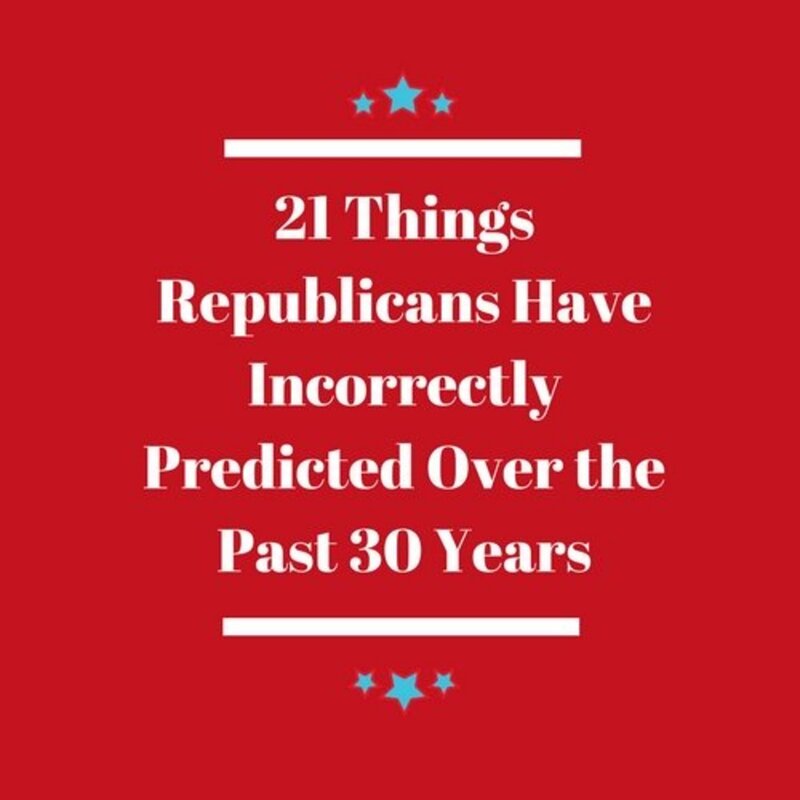 Save your predictions and put it in your 2020 voting. And you like what Obama did with trade, and you also put Trump in the same class as Bush, why. Because you think all republican presidents are the same? With all of your cartoons in this article, you made a comic book.